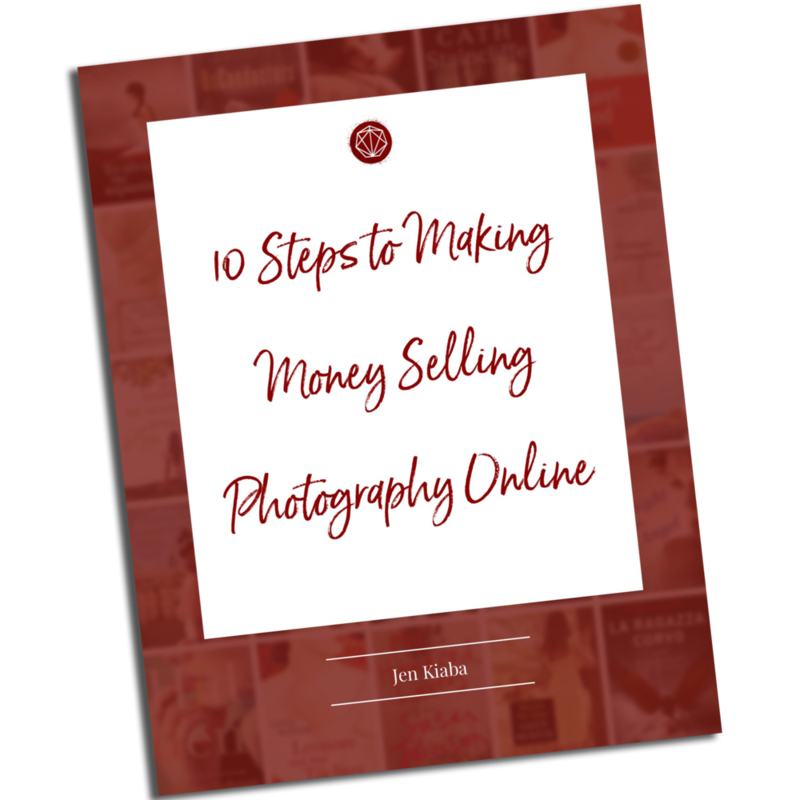 Selling fine art photography for book covers can be a fun source of income, but there are a lot of mistakes that photographers who are new to the market make. In fact, I have a confession to make: there was a time that I stopped submitting to my stock agencies for almost a year. Things had been going along great for a long time. I was getting regular sales, and feeling really good about myself. "I have a pretty solid portfolio, and it seems to sell well," I said, patting myself on the back. Figuring I could rest on my laurels a bit, I kicked my feet up and began focusing my attention elsewhere. Yup, sales began to dry up! It didn't happen over night. In fact I almost didn't notice it at first at all. But eventually I started to notice that the royalty checks were getting fewer and further between. Because I had broken one of the cardinal rules of keeping a healthy licensing income stream! To help you avoid the same, or similar, pitfalls I want to share with you the top five mistakes you should avoid in order to sell your fine art photography for book covers on a regular basis. If you are working with a stock agency, you have to submit regularly in order to develop a licensing portfolio. One of the most important things to remember when you're beginning your licensing journey is that stock photography is a numbers game. There are people who have thousands of images in their portfolios, and they are the ones who are used to getting monthly royalty checks from their work. On the other side of this equation, I have a friend who was signed to an agency years back. She submitted for a short period of time, but eventually gave up because she wasn't seeing any sales. One of the biggest problems with her portfolio was that it was too small. Now, is it impossible to get sales with a small portfolio? My portfolio, divided up among my agencies, is under 500 and that would be considered a small portfolio. But I usually could still expect at least a quarterly royalty check. Now I have certain goals for myself: first to get to 500, then 1000, and then - you get the point! If you're wondering how in the world you'll ever even get to 100, don't worry. Keep shooting, keep submitting and eventually you'll get there. I also have a Licensing Theme Challenge that I'm running and would love to have you join! Click here to enroll in the free Licensing Theme Challenge. Every week I release a new video with a theme that is appropriate for the licensing market. Your job is to shoot for that theme, either to create your first portfolio for to submit to an agency, to build up your current offering in an agency's library, or to host on your own site if you choose not to work with an agency. By enrolling in this challenge you will help ensure that you aren't committing, what I consider to be, the biggest mistake in your licensing career. You will be continuously creating specifically for the fine art stock licensing market, which is one of the largest hurdles an artist faces. The first is copy space. A designer will need a place to put the title and the subtitle, usually at the top of the book. They will also need space at the bottom of the cover for the author's name. However, there are times where they like to be able to use negative space on the sides to create an impact with the title. The second thing that they will be looking for is an image that works well in a portrait orientation. If you're already shooting in portrait orientation then you're making a designer's job that much easier for them. Now do landscape orientation images ever sell? Sometimes a landscape orientated images can sell as a wrap for the entire front and back cover. I have also had my landscape-orientation images cropped in certain cases. And this is the book cover for "Last Night at the Blue Angel" that my image sold for. Notice that the original image was nearly cropped in half in order to fit a portrait orientation for the book cover? The only reason that this worked was that the original composition allowed for an interesting crop when it used in a portrait orientation. So when you're photographing, try to make sure that you're either photographing in a portrait orientation, or in such a way that your landscape orientation could be easily cropped for a book cover. Another issue that can crop up in your portfolio is if you are overusing the same model. Variety is a really important element in your stock photography portfolio. One reason is that the variety helps to keep things fresh, which in turn keeps publishers interested and returning to your portfolio over and over. Another big reason that variety is so important is that when you're licensing fine art photography you are usually doing so using a Rights Managed model. Rights Managed licensing agreements tend to guarantee exclusivity for a certain time period and geographic region when a publisher purchases the rights for a book cover. If your portfolio lacks variety with the models you are using, this can lead to the issue of too many "similars." When a publisher sees that your portfolio has a lot of similar images, they might shy away from using any of your images because of the fact that there might be confusion between one book and another. Imagine, if two different authors were to release a book around the same time with the same woman's face on it! Even if this wasn't the same image, you can probably image that the authors and the publishers wouldn't be too happy about it! Agencies tend to try to weed out similar images when they are going through the process of accepting your submissions, but it's a big help to them when you submit variety at the beginning. In the photography world, just like in the licensing market, there are trends. For a long time using textures was a very big trend, and photographers and book cover designers were applying them to their images to capitalize on the nostalgic look. However, now agencies have begun requesting that images be submitted without those textures. More often than not, they are looking for images with a "clean" look because book cover designer either prefer images without textures or they prefer to apply the textures themselves. The same goes for things like overlays and vignettes. If a designer is interested in using your image in a montage for a book cover, but the vignette makes it impossible for them to do so, they might pass on the image. This is the original image of a woman dressed in vintage 1920's clothes by a creek. And here is how the same image was used in a montage featuring a vintage woman at the seaside. Had my image utilized heavy textures, it would not have been able to be used for this composite and therefore I wouldn't have been able to make the sale! So be aware of how heavily you utilize editing techniques in your book cover licensing portfolio! Lastly, but certainly not least, it's important to create images that are relevant to somewhat universal themes. Now does this mean that your work should be generic or obvious? However, it is important to consider that your work is going to help an author tell their story. But when you're creating, you don't know that story ahead of time. So in order to have a saleable licensing portfolio, you almost need to anticipate the themes that an author would be writing in. If your image is too conceptual, it may not appeal enough to the market and therefore may not make any sales. It's incredibly important to study the market to understand what genres and themes sell the most, and then shoot for those themes. Confused about how to do that? 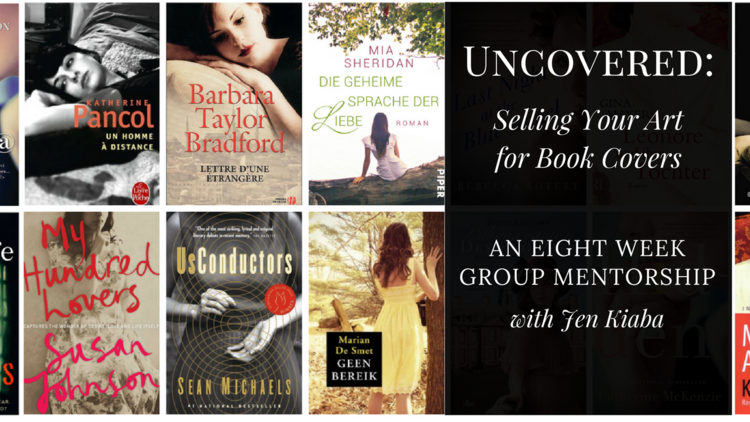 If you're looking for a group membership opportunity that helps you study the market and avoid the mistakes we have discussed, I want to invite you to join my 8-week course Uncovered: Selling Your Art for Book Covers. Uncovered is an eight week self-paced mentorship program with Jen Kiaba to teach you how to license your fine art photography for book covers! By creating and uploading work often, shooting with a book cover orientation in mind, shooting for variety with models, avoiding over-editing and esoteric subject matter you can avoid some of the biggest pitfalls of the licensing market! Everything else is up to you, in terms of shooting work that is relevant to the trends of the market.